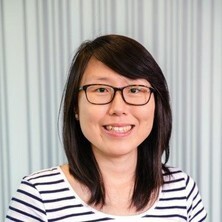 Dr Hsin-Fang Chung is currently a Research Fellow in the International collaboration for a Life course Approach to reproductive health and Chronic disease Events (InterLACE) within the School of Public Health. Hsin-Fang is an Epidemiologist and Nutritionist with experience in investigating the associations between lifestyle, genetic factors and diabetic complications. Hsin-Fang’s current work focuses on women’s lifetime reproductive health and the development of chronic diseases in a new pooled dataset of 500,000 women from 25 observation studies across ten countries. Her research interest is in assessment of the impacts of lifestyle, reproductive markers on the risk of chronic diseases (especially Type 2 diabetes and cardiovascular disease) using longitudinal data. Reproductive health and chronic diseases among women from Nepal: a comparison with women in the Interlace. Liao, Yen-Ling, Jhang, Huei-Ru, Chung, Hsin-Fang, Huang, Meng-Chuan, Hsu, Chih-Cheng and Hwang, Shang-Jyh (2015). Associations between Plasma Folate and Kidney Dysfunction in Type 2 Diabetes. In: Meeting Abstracts. Experimental Biology Meeting, Boston, MA, United States, (). 28 March-1 April 2015. Huang, Meng-Chuan, Huang, Pei-Chi, Chung, Hsin-Fang and Hsu, Chih-Cheng (2013). Plasma n-3/n-6 PUFAs interact with FADS2 genetic variations to affect blood cholesterol concentrations in type 2 diabetes. In: Meeting Abstracts. Experimental Biology Meeting, Boston, MA, United States, (). 20-24 April 2013. Chung, Hsin-Fang, Chen, Pao-Shan, Long, Kurt, Hsu, Chih-Cheng and Huang, Meng-Chuan (2012). The association of ADIPOQ gene polymorphisms and clinical risk factors with nephropathy progression in type 2 diabetes. In: Meeting Abstracts. Experimental Biology Meeting, San Diego, CA, United States, (). 21-25 April 2012. Chung, Hsin-Fang, Jhang, Huei-Ru, Long, Kurt, Hsu, Chih-Cheng and Huang, Meng-Chuan (2011). Ferritin concentrations correlate with inflammatory makers and insulin resistance in type 2 diabetes. In: Meeting Abstracts. Experimental Biology Meeting, Washington, DC, United States, (). 9-13 April 2011.